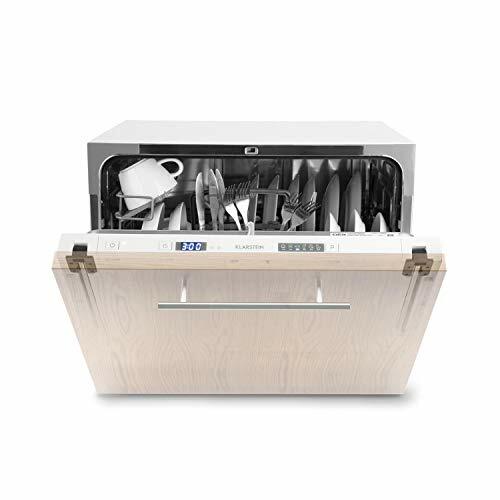 POWERFUL: The Klarstein ia 8 Secret dishwasher is the new cleaning aid with the special look for every household! 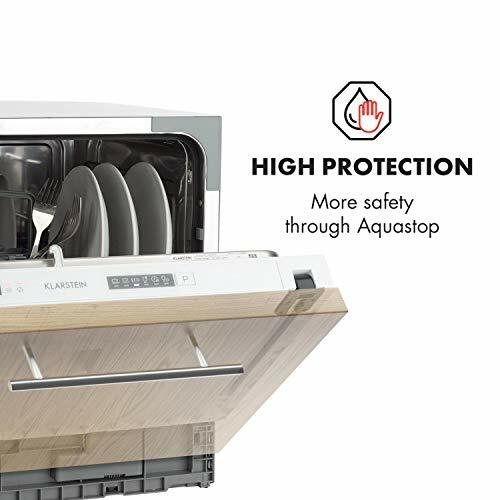 Powerful and economical in consumption: The Klarstein dishwasher brings shine to any kitchen! 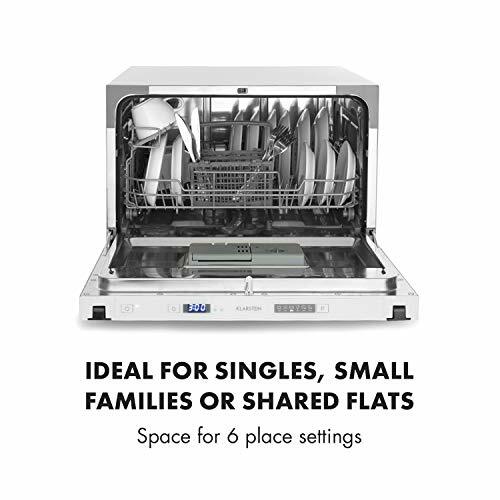 ECONOMICAL: Six place settings can be found inside the automatic dishwasher. 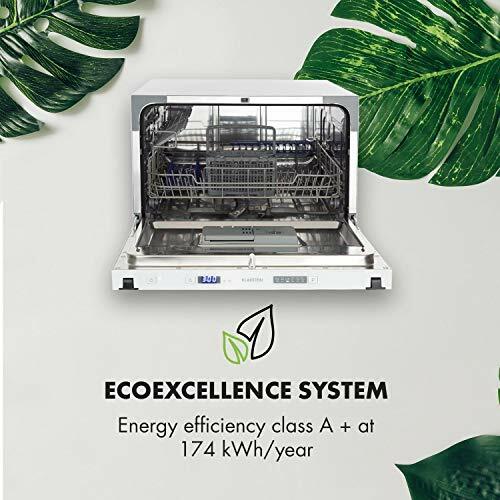 The powerful dishwasher cleans particularly powerfully, while the energy consumption with 174 kWh per year and energy efficiency class A + is extremely low. 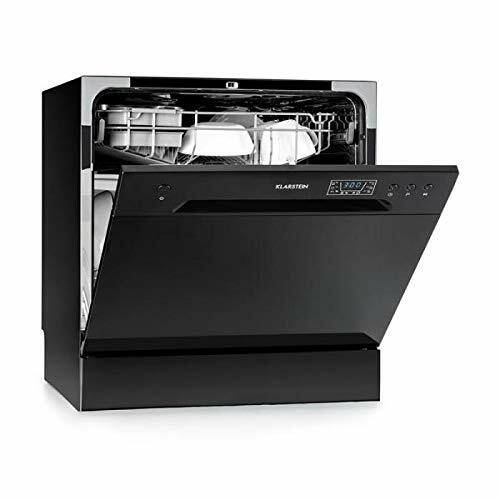 ADJUSTABLE: The ia 8 Secret dishwasher offers with six different programs always the right choice for different levels of soiling and types of dishes, from slightly soiled to extremely dirty cookware. 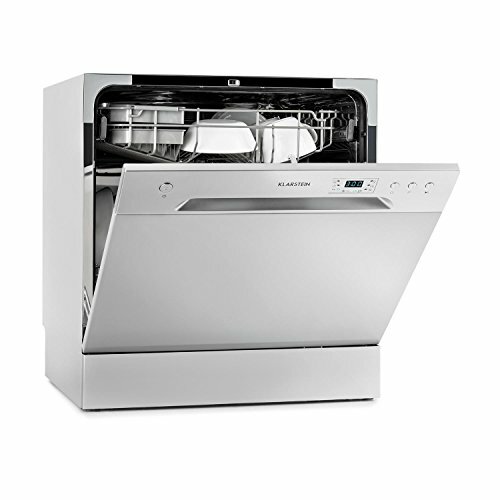 OVERVIEW: All programs are easy to select from the dishwasher's faucet using self-explanatory icons. 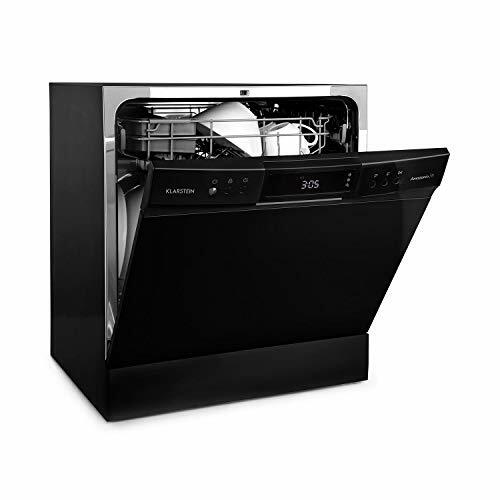 Control lights provide information about the selected program, necessary refills of cleaning salt or rinse aid. 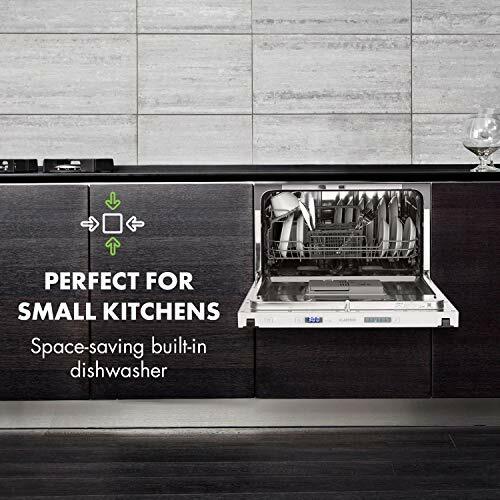 LED DISPLAY: Intensive mode is particularly suitable for heavy soiling, and the high-speed program is sufficient for light soiling. 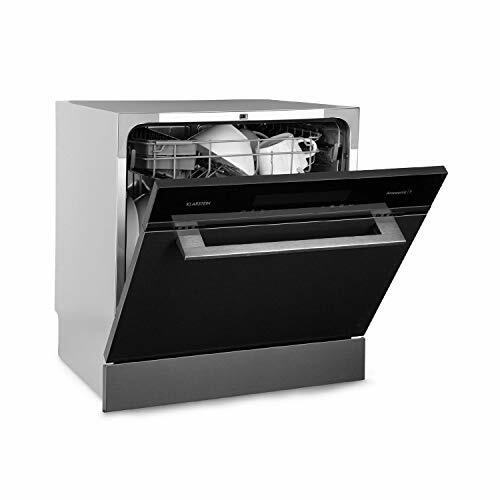 The LED display permanently shows the remaining time of the selected program. 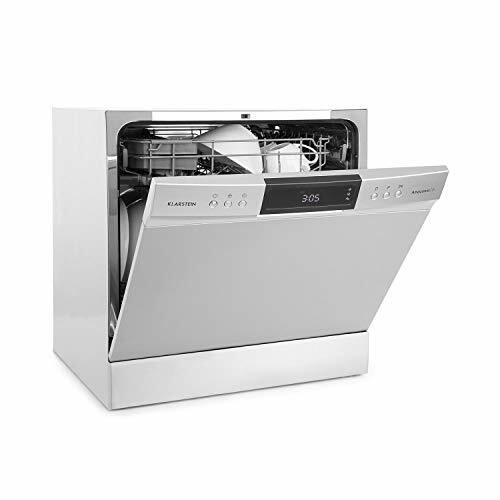 Dishwasher with six different programmes and energy efficiency class A +. 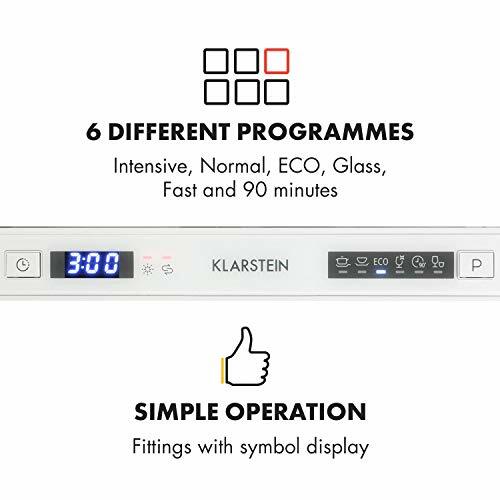 Simple operation through operating section with symbol display and indicator lights. 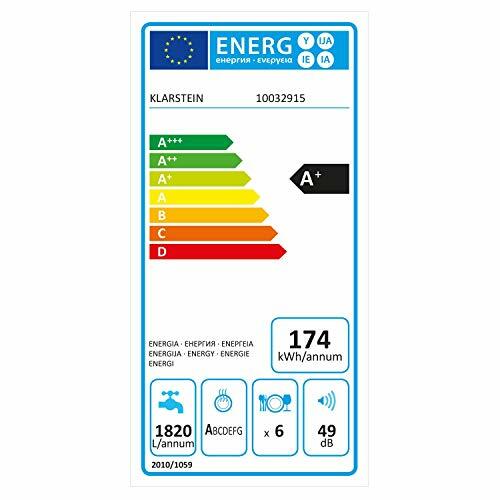 per year and energy efficiency class A + is extremely low.